I was there on September 21, 2016. I saw our local police and national guard suited up in militarized riot gear with my own eyes. I heard the bangs of stun grenades with my own ears. I smelled the tear gas with my own nose. 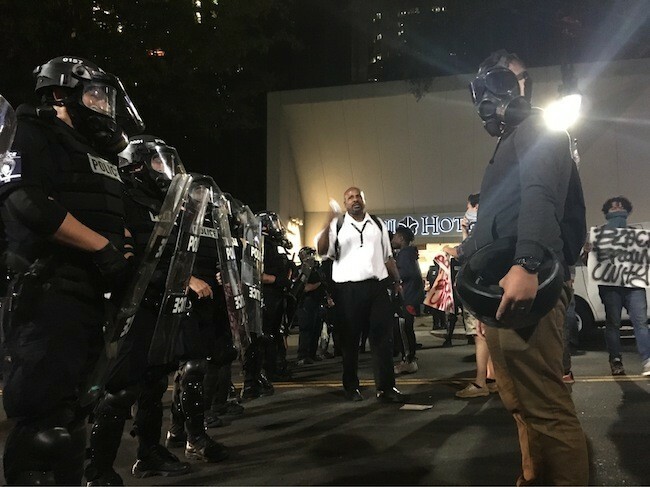 I felt frozen in a brief moment of terror as a police officer no more than 30 feet away from me aimed a gun loaded with tear gas pellets directly at my head when someone from further back in the crowd threw a water bottle at a wall of police at least 50 officers deep lined up in a blockade across Trade Street. This happened just outside the Omni hotel, where no more than an hour prior, Justin Carr was shot dead. Fortunately for me, the officer showed restraint and did not pull the trigger. Those sights, sounds, smells and emotions will live with me for the rest of my life. 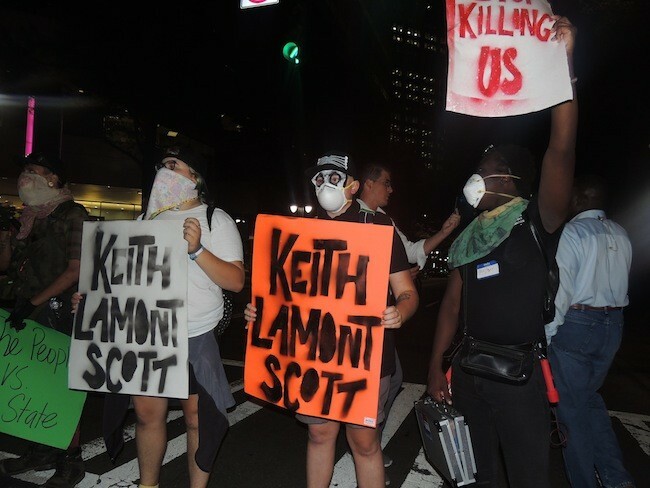 The nights of protests that turned violent and even deadly in the wake of the Keith Lamont Scott shooting are something that should be fresh in the minds of Charlotteans, whether they were there or not. After the protests, many saw the events of that week to be a wake-up call, a moment of action that would spur this city to do better and to be better. In the moment, it felt like we had our marching orders, and the mission was clear: Create a more equitable Charlotte that would be a leader among quickly growing American cities in the 21st century. City leaders spoke of inclusiveness, opportunity, a fresh perspective and a step, however small, in the right direction. All of that rhetoric will be proven false if Charlotte votes to host the 2020 Republican National Convention. All of the lessons learned on those dark nights of violence and fear that played out on the streets that we walk on every day will prove to have been quickly forgotten, if ever learned at all. All of the efforts purported to have been made in response to the Keith Lamont Scott protests, the infamous Economic Mobility Report and HB2 will bear themselves a lie if our city leaders move forward with hosting the RNC. Worse still, my greatest fear is that the blood of our own citizens will once again flow through the parquet brick sidewalks of Uptown Charlotte. In any normal year, the talk of showing fairness and overcoming differences that has been associated with hosting the RNC just eight years after Charlotte played host to the Democratic convention would ring absolutely true. We should all strive to provide equal voice to those whose opinions differ from ours. "I disapprove of what you say, but I defend to the death your right to say it." Evelyn Beatrice Hall spoke those words in 1906, and they provide a standard that lifts us above the fray of rhetoric as a society. However, it is this exact disposition that has been taken advantage of and bastardized by the very people we would be inviting to our city by accepting the RNC. The idea that our political views, while differing from one another, are equally valid and worthy of legitimate discussion and compromise, is only sound if the opposing views are presented in good faith. There is, however, very little about the messaging of the RNC and the current administration that can be classified as good faith. Since embracing the new ethos of the party almost three years ago, conservatives have repeatedly mortgaged their values, integrity and honor in the name of gaining power. 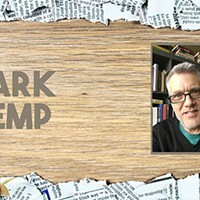 They have leveraged weak and less discerning minds to fuel their unquenchable quest for power, with both the carriage and the horse hypnotized by false promises of influence. The values that represent today's Republican party are based in fear, inadequacy, xenophobia and a yearning to regress back to a time that only exists in their minds. This has led to calls to roll back civil rights for minorities, immigrants, the LGBTQ community, women and more. To put it bluntly, there is nothing that qualifies as good faith about any of that. It's one thing to say we should cut taxes and embrace the free market. It's something entirely different to legislate discrimination against any members of the population. The argument has been made that hosting the RNC will result in an influx of business spending and increased tax revenues for the city. Ideally, that will lead to more funding and resources that would make Charlotte the more fair and equitable city, something that many task forces and concerned residents have called for since the Economic Mobility Report was released. However, this too bears false. The tax dollars that washed into the city in 2012 did little, if anything, to spur a revival of affordable housing, education, rehabilitation services, mental health services, treatment programs and all of the other things that Charlotte desperately needs. 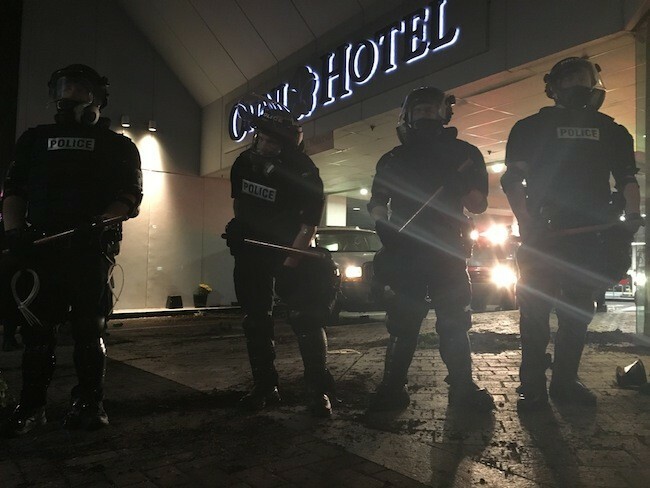 The only so-called improvements were the stockpiling of military-style police gear, the same gear that was used to forcibly repress the city's own citizens in September 2016. If economic impact is what is driving Charlotte's push for the RNC, that alone speaks to a scary disposition. City leaders would in essence be saying that the greater equity of their citizens is not worth the relatively minor influx of money that would come from leveraging our dignity. In an age of money-driven decisions, it is also quite telling that many more municipalities have rejected the RNC and the money that comes with it. In any other year, inviting the core of the Republican party and the people attached to it would be an engaging opportunity to discuss and debate, and to hopefully share our different opinions in a friendly way over a pint at a local bar. But this iteration of the Republican party is not above violence, much of which has only been emboldened by the leadership of that party over the past three years. It has also manifested itself all over social media. It was most prominently on display in Charlottesville, where a woman died in the streets and many others were injured by the same people we would be inviting into our city in the summer of 2020. There's a small but dedicated community of activists who will be protesting the RNC that will undoubtedly make their presence felt in the form of blocked roads and other demonstrations. Creating the circumstances that would put these two groups squarely opposed in our streets would not lead to the positive media coverage our city leadership is searching for. The combination of people who are willing to resort to violence, plus a proud coalition of activists ready to put their lives on the line is one that I hope we never have to see the result of. 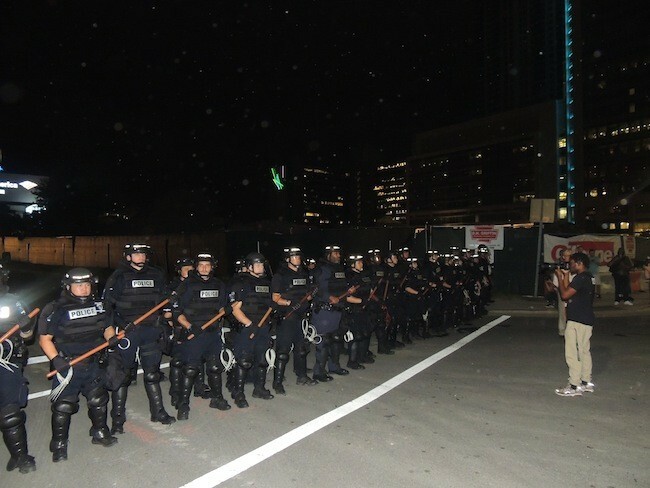 City leaders of Charlotte, you must ask yourself: Is it worth it? Is it worth it to see violence in our streets spread across national news? Is it worth it to further divide a community that is already split wide apart? Is it worth it to be on the wrong side of history?